Last week marked the end of the third deadline, which means the 2017 Legislature is now onto the very important step of the Omnibus Appropriation bills moving from their respective Legislative Committees to the full Senate and House floor. We can expect most (I will be surprised if not all) of these bills to be acted on by April 8 or immediately after the Passover/Easter Legislative Break of April 9 – 17. After that break, the difference between the respective versions of the House and Senate bills will be sorted out in Conference Committee. The result of this work will produce a Conference Committee Report for each omnibus bill. Then the Conference Committee report must be voted on for final approval by the full Senate and House. There are no amendments allowed to a Conference Committee Report so that vote will be a simply yes or no. The Republican majorities of the House and Senate have prioritized tax reductions and transportation. They have also been clear that downsizing state government continues to be a goal despite the $1.6 billion surplus that is projected for the new biennium. The various Omnibus Appropriation bills include cuts in spending that some predict will eliminate up to 2000 state jobs and perhaps more later as a result of “efficiencies” mandated in the bills. These bills also contain some restructuring of processes that approve bargaining agreements by the legislature. Of course, as these Omnibus bills move through the process the next important step is either – approval or veto by Governor Dayton. After the passage of the negotiated Conference Committee Omnibus bills the bill is then delivered to the Governor and he will have three days (not including Sundays) to make his determination. Throughout the Session, the Dayton Administration has been testifying regularly on various provisions under consideration. They have advised the Legislature of their strong disagreement with many portions in a number of the Omnibus Appropriation bills. Should the Governor veto any of the Omnibus bills, the Legislature will then have an opportunity to attempt to override his veto. That, however, constitutionally requires a two-thirds vote from both the Senate and House. Veto overrides on Omnibus Bills tend to follow political party lines. Neither the Republican majority’s in the House or the Senate is large enough to capture the required two-third vote making a veto override unlikely. Most Capitol observers and participants anticipate a number of the Omnibus Bills to be vetoed by the Governor. Time will tell. Of course, it is important to understand that with so many issues on the table this is a multi-tiered, complicated process. In negotiations over these bills the Governor and Legislative leaders will be thinking many “moves” ahead not always publically or privately “telegraphing” what they are willing to compromise on. There are many important issues on the negotiating table and like in any negotiation they all potentially can affect each other in the course of bargaining. Please do not misunderstand me; although many use phrases and analogies that sound like they are playing a game, this is not a game. The negotiators are very serious about what they are doing and understand that the stakes are high. Like in any negotiation, the participants need to pick their battles. No one will win everything and the final outcome is very difficult to predict. Late April and the first two weeks of May will be consumed by intense behind the scenes and private negotiation between Legislative leaders and the Governor. This is the time when television stations, newspapers, and other members of the media will be perched outside key Capitol offices and gathered on Summit Avenue in front of the Governor’s Residence. The Constitutional deadline for Legislative adjournment is May 22. A Special Session will be required if negotiations fail to produce agreement on Omnibus Appropriations bills before midnight. If that fails to happen, the next deadline will be at the end of the present biennium on June 30. 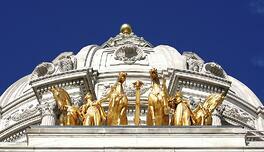 Without the Omnibus Appropriation bills (or other special provision) portions of Minnesota state government will face a shut down. 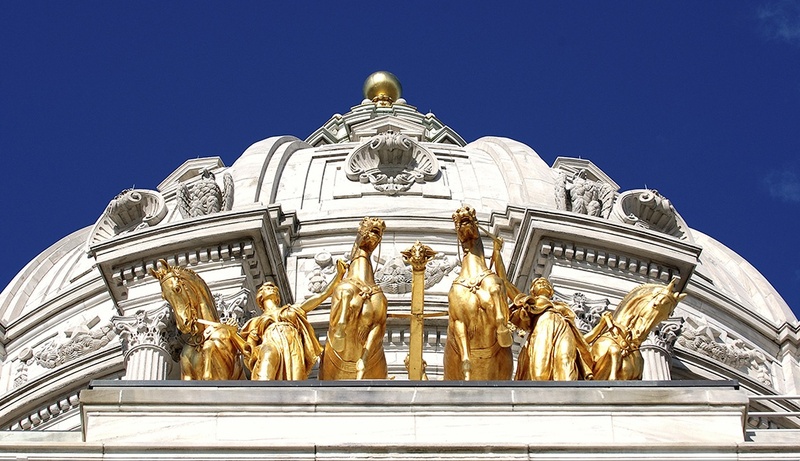 A Special Session and most certainly a state shut down are negative outcomes for the citizens of Minnesota, state employees, but also are very dangerous politics for both sides of this negotiation. As always, MMA is actively monitoring the legislative process, paying particular attention to those items that may affect state employees. MMA is committed to representing its members throughout the session. We will share information with you as the process unfolds.